If you’re a young person well-versed in blackness, you’re bound to be creative with the English language. But thanks to the Internet, this creativity has become less regional and maddeningly uniform. So a black dude could trek from New York to the Atlanta University Center in his Timbs and not be clowned for saying how long it took, deadass. Because he probably won’t be saying that. Though he will be clowned for wearing his Timbs at the freshman year pool party. Because he probably never took them off. 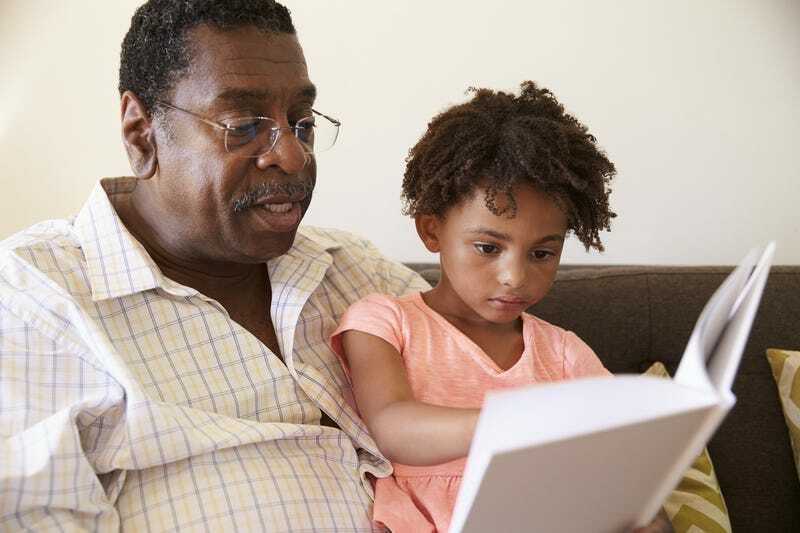 Just as younger generations of black folk have a solid 4 words that rotate in their tweets and IG captions — lit, melanin, poppin’, and Beyoncé if you had to guess—older generations have their own set of universal rhetorical quirks. But unlike the innovation of their 14-year-old grandkids, our dear elders tend to just misuse existing words. For all you Atlantans, that means Essos, Visions, and Krogers— the locales of all your late night flirtations and incessant removal of promo flyers from your car windshields— do not exist. And neither does “Ofras” (that’s Oprah, according to my grandma everybody). In an odd stroke of genius, our elders’ capacity to pluralize words often does not extend to words that actually should be plural. This is especially so if you have family from the West Indies. In my kid days, I’ve been instructed by the aforementioned grandma to pick up my foot (aka both feet), put on my pant (which, arguably, makes more sense), and stop smacking my lip. 2. b. In a similar twist, because black folks are unpredictable except when we’re not, Dave & Buster’s and Chuck E. Cheese’s just lost all possession of their respective adult/child playgrounds, because we have universally determined they will merely be known as Dave and Buster and Chuck E. Cheese. I don’t know what an idear is. Or an Obamer. Or a ‘mote controller, or cotrolla if we want to get technical. I do know what an idea is, that Obama is our President, and a remote changes the TV channel…or so I’m told. Because “nearest child” has been used interchangeably in our house even when the remote is sitting right there ma! 4. On today. On yesterday. On tomorrow. Black people like to do the most. In this case do less. If we just say “yesterday” and “tomorrow,” people will still know what we’re trying to say. I mean, I really don’t understand who started this. Was it the same NY cat who, while standing behind the McDonald’s register to save up money the summer before his AUC trek, summoned the customer next “on line” instead of “in line” (this is real..and can only be found within the confines of New York City. Side note: are NYers so easily make fun-able because they take themselves so seriously?). I can tolerate us being on one, though I still don’t know what this means if we’re being honest. I can even get used to us being on CP time. That’s the only time that exists to me, really. I can probably also get past you saying "quote on quote." But I will under no circumstance be okay with you making plans for on today, on yesterday, or on tomorrow. Just stop it. Saint Valentine turns over in his grave in every week preceding and postceding (see, that’s made up, but I’m consciously aware of this) his eponymous celebration. He also told me he wants you stop it. He hasn’t done either, but whatever. For all you black name having black folks (like me, my name is very black), it’s like that thing when a teacher sees all the letters in your name at roll call but they get confused and they’re under a lot of pressure because it’s the first day and they’re human too so they just say whatever and now you’re Melissa for a semester and even past that like when you apply for your first office job because #racism and that’s the only time you get calls back. Thanks Obamer! Hey ma, yes I can log off the Twitter and the Facebook. Oooh and guess what? I can also log off Twitter and Facebook in the same exact way. **As an avid AAVE advocate and participant, this not a judgment. It’s merely a description. Malaika Jabali is a public policy attorney and expert at discreetly bowing people when "Knuck if You Buck" starts playing. She complains about being a broke Millennial on instagram @wokerandbroker. White Men are Winning at Literally Everything, So Why are they Still so Angry?